original watercolor and ink illustration. 6x6"
Heart meat section, sans labels. 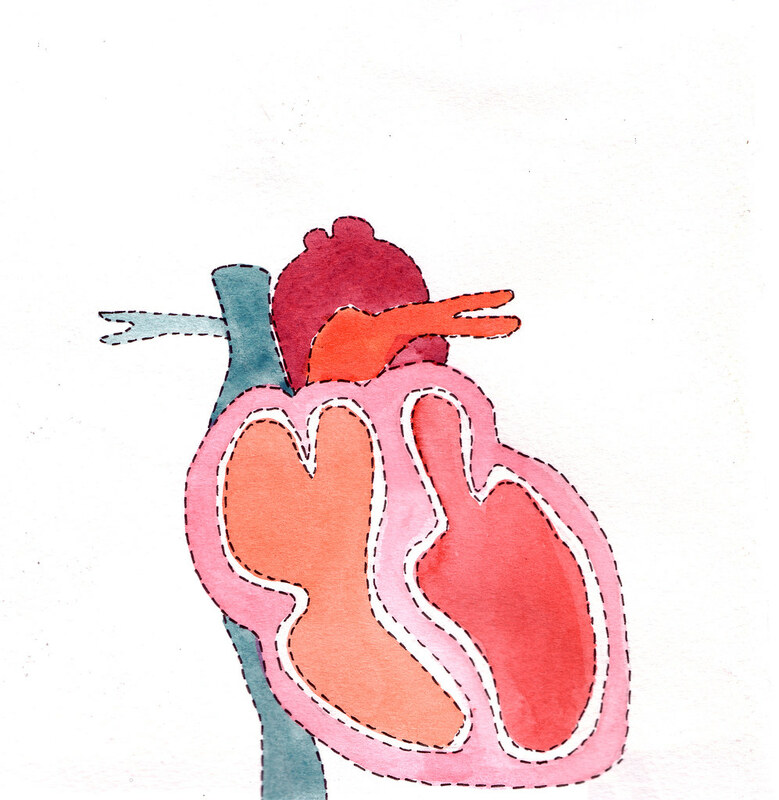 Hearts aren't into labels, despite what surgeons may say.